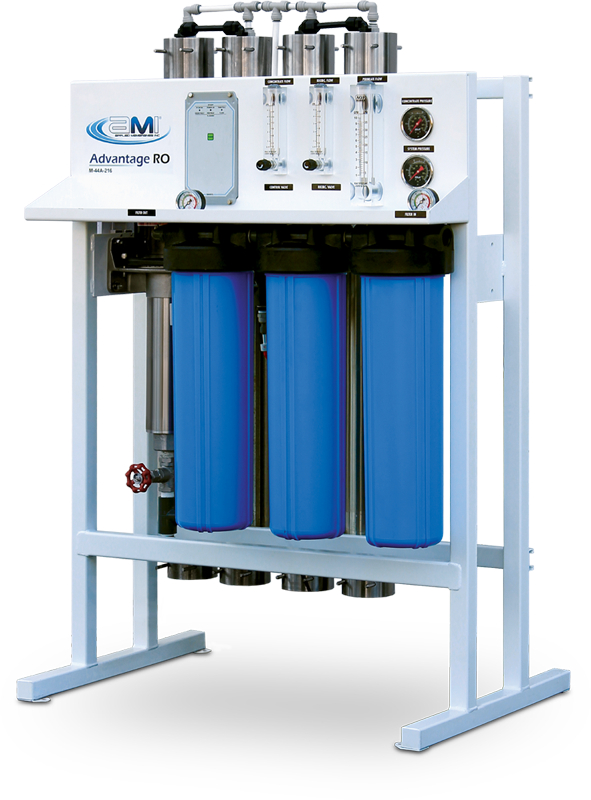 AMI Advantage Compact RO Systems 350 to 10,000 GPD | Applied Membranes Inc.
AMI’s Advantage Series RO Systems are designed to produce low dissolved solids product water from tap or well water. 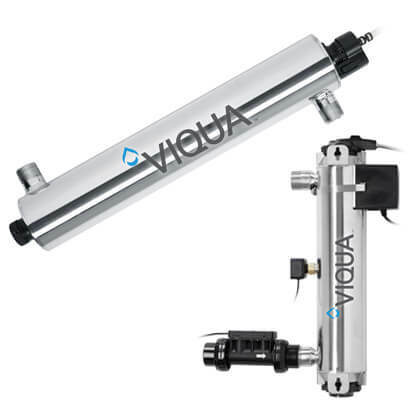 These systems use high efficiency, low energy membranes, and run at high recovery offering low maintenance and operational costs. 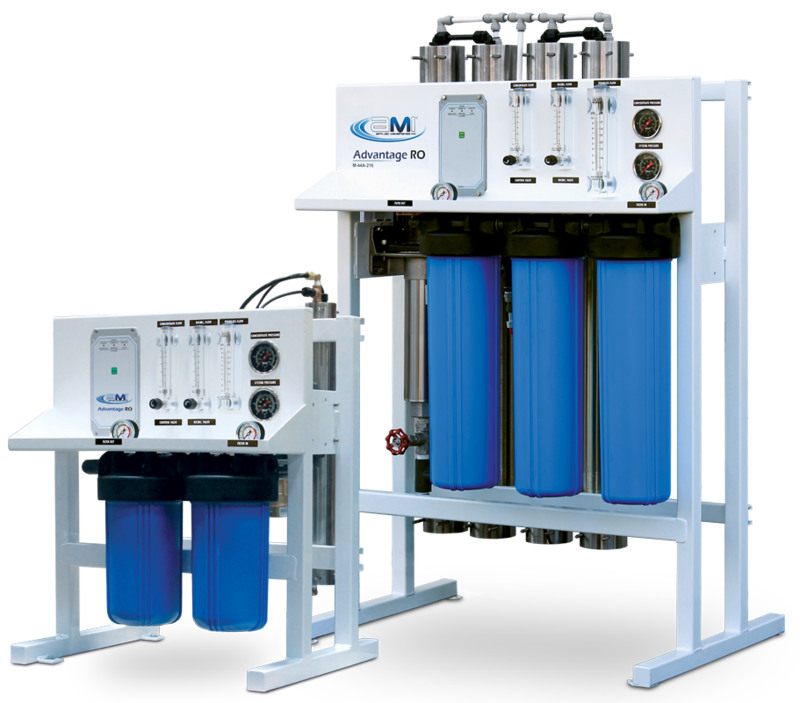 They incorporate carbon filters for chlorine removal, and sediment pre-filtration prior to the RO for a packaged unit that is ready to run out of the box. **M-44A, M-54A, and M-64A are available in 215 and 216 voltage only. 116 is not available for these models. Recommended Pre-Treatment Equipment: All pretreatment equipment and SDI test kits are available from Applied Membranes. 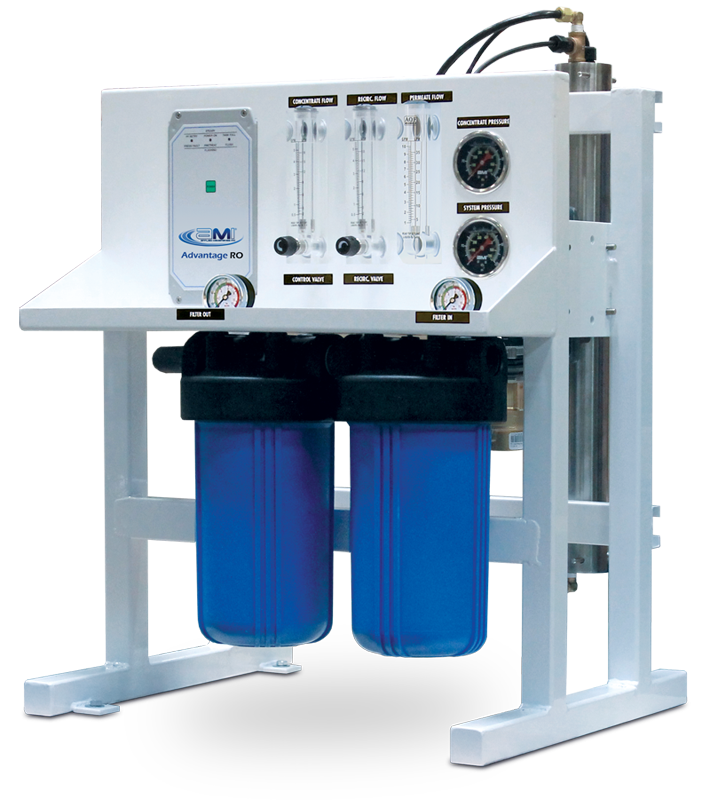 Water Softener: Hardness must be removed if present in feed water prior to RO system to avoid scaling the membranes. 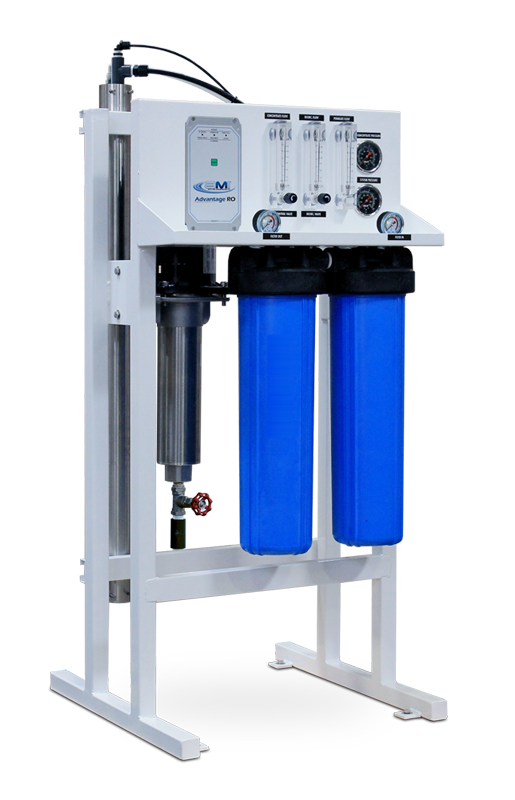 Multimedia filter: If feed water exceeds <1 NTU turbidity, or silt density index (SDI) of 3, media filter pretreatment recommended. Systems rated at: 77°F (25°C) using 1000 ppm sodium chloride solution operating at approx. 200 psi. Big Blue Carbon block and 5M Sediment Prefilters in Housings. (4) Pressure Gauges: System Pressure, Concentrate Pressure, Filter In and Filter Out. (3) Panel Mounted Flow Meters: Permeate, Concentrate and Recycle Flow.